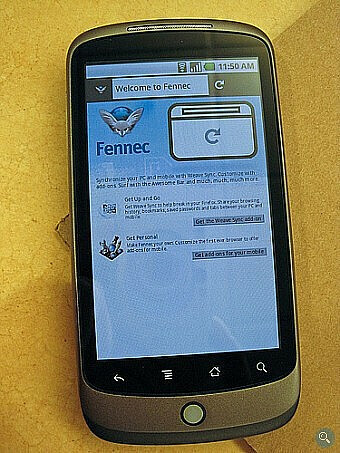 Getting a pre-alpha build of Mozilla's Fennec browser for Android should obviously top using a hacked version, even though the developer admits that there are some bugs. 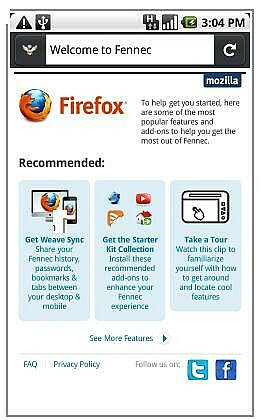 But in exchange for nothing more than feedback, Mozilla will let you install the browser on your Android powered device, You might recall near the end of February when we showed you some pictures of the Motorola DROID and the Nexus One running the browser. As for the software itself, it has been tested on those two handsets only, and while bugs might not crawl out of your phone, they could require a reboot. Memory usage is not good on this build and a low memory device like the DROID could have problems with large pages. As a quirk of the install process, you might see the browser exit and relaunch when you first start it up, which is a problem that is being worked on. You cannot open links from other apps using Fennec, but this is something that should be resolved on the next build. Android 2.0 or higher is required and the installation must be to internal memory, not to an SD card. To install the pre-alpha version, scan the QR code at the source link, or follow the directions there. You might need to change your phone's settings to enable non-Market installation of an app. As for feedback, a temporary Google group has been created and a permanent way to get your feedback through to Mozilla will be announced in the future. the memory for these phones should be large and fast also to accomodate those files; but that's a great idea.